There is an odd thing going on with many game writers: they write their games like they would a novel or a movie. If you are one of those people, either switch careers, or pay close attention to what is coming next. You may be a brilliant writer, but if a player wanted to read 50 lines of flavourful monologue to find out what she has to do next, she would’ve bought a book. 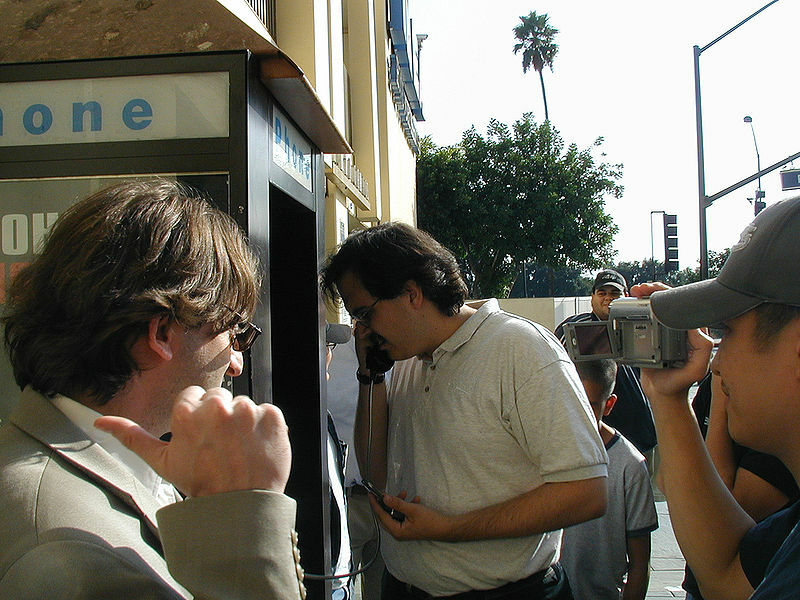 And you may be on the hot-list of every film director for being an awesome scenarist, but if you think a player wants to see every single story element in a 3 minutes cutscene, please leave for Hollywood. What I’m saying is this: you are writing for a game. Start actually doing that or go write something else. 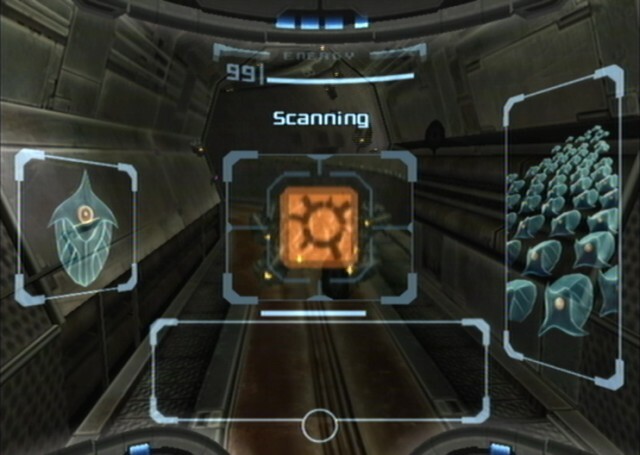 A good example of well done extra narrative is the scanning of background information in the Metroid Prime series. The player can immediately see whether she is scanning crucial information or background lore by the colour of the scan image. Furthermore, the acquiring of extra narrative this way feels natural to the game. Players do things, that is what defines a game. Either the narrative should unfold without impeding this doing of things or, preferably, it supports the gameplay. Though there is something to be said for the occasional break from action, as a general rule of thumb, the story should never slow the game down. Ask any player whether she is following a story element because she has to or because she wants to. If the answer is because she has to, you might want to redesign that part. So how do you tell a story that supports the game? It’s not easy, but then again no writing is. The trick is to restrict the mandatory story1 to the absolute minimum needed to explain and carry the game. All the other narrative can be explored if so desired, it can be readable or spoken text that the player can walk by on if she so desires. 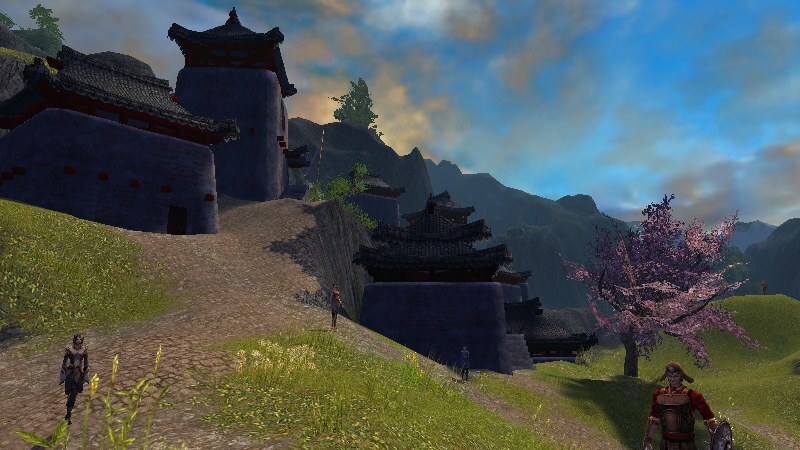 Guild Wars Factions has some extra narrative that rewards the player when followed and ties in with the gameplay. In the village in this screenshot, the player can listen to a character who tells a story to two children in the village if the player stands near him. If the player listens until the end of the story she gets the option to take on a special quest continuing on the story told. Once you’ve done that, you’ll want to make the narrative actually matter to the player. Give the player (non-crucial) information through additional story elements. Let the player play the narrative. Listening to an NPC’s story about the area may inform the player of a secret passage she would otherwise not find. Reading a book about ancient lore in the game world may reveal that a weapon the player has will be particularly effective on a certain enemy. There are two things to remember here; first, link the extra story to player actions. Secondly, reward the player for following additional narrative. There is a lot more to be said about this, if you’d like to learn more, feel free to contact me or chat me up when you see me. This image portrays players playing the Alternate Reality Game ‘I love bees’. ARGs excel at telling stories in a fashion tied closely to the gameplay; players main tasks in an ARG is unravelling the story piece by piece. Players are even rewarded for uncovering and advancing the story by becoming part of the narrative or receiving ‘bragging rights’ towards the community when they make an impressive find. Limit mandatory narrative to an absolute minimum and link additional story elements to the gameplay and reward players for following these elements. Next week in Playful Narrative: Design characters, not motives. 1 The parts of the narrative players can’t walk by on or skip in any other way. Examples of this are cutscenes, dialogues that the player is forced to click through or listen to before proceeding.